2. If the answer to question 1 is yes, is the exclusion from patentability of plants and animals exclusively obtained by means of an essentially biological process pursuant to Rule 28(2) EPC in conformity with Article 53(b) EPC which neither explicitly excludes nor explicitly allows said subject-matter? Appeal where two Boards have given different decisions on that question. based on an analogous application of Article 112(1)(b) EPC (below II.). assessed under Article 164(2) EPC. Article 53(b) EPC in an earlier decision of the Enlarged Board of Appeal. Article 53 EPC given in an earlier decision of the Enlarged Board. clarification by means of a Rule which would conflict with said interpretation. the Article set forth in earlier case law. judge an action or rule as ultra vires [...]” (emphasis added). 1973 is in conflict with Article 53(b) EPC 1973, contrary to Article 164(2) EPC. case law in the sense of Article 112(1)(b) EPC. thus whether the Rule was in conflict with case law. the Rule is in conflict with the Article in the sense of Article 164(2) EPC. examined under Article 164(2) EPC. Thus, question 1 is clearly admissible. considered admissible under Article 112(1)(b) EPC by analogy. here (see below point 26.). Implementing Regulations to the EPC. which follows the different interpretation. application of Rule 28(2) EPC has or may become decisive. decisions (see above point 24.). interpretation of Article 53(b) EPC set forth in Rule 28(2) EPC. comparable to the case explicitly covered by Article 112(1)(b) EPC. point of law at issue. on the operation of Article 164(2) EPC. 38. The issue at stake also concerns fundamental questions of legal uniformity. from patentability under harmonised European patent law. the interpretation of Article 53(b) EPC. Board of Appeal in light of these subsequent legal developments. Article 112(1)(b) EPC thus appears expedient and justified. Appeal or the Enlarged Board of Appeal. law of the Boards of Appeal. examine the compatibility of an EPC Rule with earlier case law. “provisions of this Convention” but not to an earlier interpretation by case law. The wording provides no basis to equate “law” with “case law”. confirmed, in particular, in decisions T 315/03 and T 991/04. decisions from the Enlarged Board of Appeal. endorsed by the Enlarged Board”. of the Article in question. enacted by the Administrative Council when interpreting Article 53 EPC. 69. In view of all this the first question should be answered in the positive. Article 53(b) EPC based on at least one of the following considerations. aspects of systematic and historical interpretation. processes and products other than plant varieties”. animals) exclusively obtained by essentially biological processes. means of Implementing Regulations to the EPC. in decisions G 2/12 and G 2/13) do not provide a clear result. Convention with the EU Biotechnology Directive. into the EPC Rules and that no changes to the EPC Articles were required. in line with the EU Biotechnology Directive. Council of Ministers or the resolution of the European Parliament. assist in the application of the EU Biotechnology Directive. products (plants and animals) of essentially biological processes. legislative intent should be taken into account. processes shall not be patentable. decisions G 2/12 and G 2/13. animals) of essentially biological processes. interpretation of Article 53(b) EPC. essentially biological processes was not yet fully aligned. exclusively by means of a substantially biological procedure”. biological processes defined in paragraph 3 [...] (emphasis added). - - Similar legislative initiatives are under way in HR and SI. 109. The fact that under the national law and practice of all 38 Contracting States of the European Patent Convention the products (plants and animals) of essentially biological processes are excluded from patentability was not yet established and could not be known to the Enlarged Board of Appeal when deciding the questions referred in cases G 2/12 and G 2/13. Also, while in these decisions the Enlarged Board made reference to the national laws of Germany and The Netherlands, it could not yet take into account the changes and forthcoming amendments to the national patent acts of AT, BE, FR, HR, PL, PT, RS and SI. 110. It is recognised that the EPC on the one hand and the national laws of the Contracting States on the other are a different legal source.93 Still, there are strong formal links between both legal orders.94 Pursuant to Article 1 EPC a system of law, common to the Contracting States, for the grant of patents for invention is established by the European Patent Convention. Under Article 2(2) EPC the European patent shall, in each of the Contracting States for which it is granted, have the effect of and be subject to the same conditions as a national patent granted by that State, subject of other provisions in the Convention. For issues of infringement of European patents Article 64(3) EPC refers to the applicable national law. Article 138 EPC relates to revocation grounds to be taken into account in national proceedings. 111. Also in light of this the agreement between and practice of the 38 Contracting States of the European Patent Convention in relation to the patentability of the products (plants and animals) of essentially biological processes should be taken into account in the interpretation of Article 53(b) EPC to the effect that under the Convention, too, these products should be considered excluded from patentability. 112. These considerations further support the conclusion suggested above that, having regard to Article 164(2) EPC, Rule 28(2) EPC is in conformity with Article 53(b) EPC. 1 Not published in the OJ EPO, points 23, 25 and 46 of the Reasons for the Decision. 2007, 644, point 57 of the Reasons for the Decision. 3 See idem points 32 and 35 of the Reasons for the Decision. 4 See T 272/95 of 23.10.2002, not published in the OJ EPO, point 4 of the Reasons for the Decision. 5 Not published in the OJ EPO, point 75 of the Reasons for the Decision. 6 Not published in the OJ EPO, point 44 of the Reasons for the Decision. 7 OJ EPO 2012, 130. 8 See Article 21 of the Rules of Procedure of the Boards of Appeal. 9 See point 39 of the Reasons for the Decision. 10 See, for example, T 315/03, OJ EPO 2006, 15, point 7.6 of the Reasons for the Decision. 12 See decision G 2/12, OJ EPO 2016, A27, point 1 of the Order of the Decision. 13 Idem, point VII. 6. (3) of the Reasons for the Decision. Council on the interpretation of an EPC Rule, hence a fortiori a Rule change adopted by the latter. 15 See Benkard/Schäfers/Henke, EPC, 3rd edition (2019), Article 164, at 30. Int. 2008, 702, section IV. with several case law references. 17 OJ EPO 2000, 322, point 3(b) of the Reasons for the Decision. 18 OJ EPO 2004, 483, point 8.8 of the Reasons for the Decision. 19 OJ EPO 2011, 10. Act with EPC, 10th edition (2017), Article 112 EPC, at 36. 21 OJ EPO 2001, 131, point 1.2 of the Reasons for the Decision. the Boards of Appeal of the EPO, 8th edition (2016), chapter IV.F.2.4.3. 23 See G 3/08, OJ EPO 2011, 10, point 7.2.6 of the Reasons for the Decision. 24 Idem, point 7.2.5 of the Reasons for Decision. decision G 3/08, OJ EPO 2011, 10, point 7.2.5 of the Reasons for Decision. 26 OJ EPO 2011, 10, point 7.2.3. of the Reasons for the Decision. 27 See above A. I. and in more detail in section B. 28 Not published in the OJ EPO, points 23, 25 and 46 of the Reasons for the Decision. 29 See decision G 2301/16, not published in the OJ EPO, point 42 of the Reasons for the Decision. 32 G 3/08, OJ EPO 2011, 10, point 7.2.5 of the Reasons for the Decision. 14/91, T 39/05, T 1196/08, T 1676/08 and T 2477/12. T 1242/04, OJ EPO 2007, 421 and T 1676/08. 37 See CA/56/17, section V. A. 306, points 5 and 12 of the Reasons for the Decision. 39 See documents CA/PL 4/17 and CA/56/17. 306, points 5 and 16 of the Reasons for the Decision. 41 Official Journal of the EU C 411/3 of 8 November 2016.
patents and plant breeders' rights, 2015/2981(2015/2981(RSP)). Official Journal of the EU C 65 of 1 March 2017, p. 2-3.
and similar legislative initiatives are under way in HR, PL and SI; see in detail infra section B. II. 45 See in detail infra section B. II. 46 See CA/D 6/17 based on preparatory document CA/56/17. 47 OJ EPO 2016, A27 and A28, point VII. 2. (4) (a) of the Reasons for the Decision. 48 OJ EPO 2009, 306, point 13 of the Reasons for the Decision. 49 OJ EPO 2006, 15, points 5.1 and 7.7 of the Reasons for the Decision. 50 Not published in the OJ EPO, point 4 of the Reasons for the Decision. 51 OJ EPO 1987, 95, point 5 of the Reasons for the Decision. 54 See, however, Article 33(1)(b) EPC 2000.
this context also Article 150(2) sentence 3 EPC. 2010, 456, point 7.1.4 of the Reasons for the Decision. 57 See G 3/08, OJ EPO 2011, 10, points 7.2.1 and 7.2.2 of the Reasons for the Decision. 58 See point 6 of the Reasons for the Decision. 59 OJ EPO 2006, 15, point 5.8 of the Reasons for the Decision. 60 See G 2/95, OJ EPO 1996, 555, point 1 of the Reasons for the Decision. 61 See point 4.4 of the Reasons for the Decision. 62 Idem, point 5 of the Reasons for the Decision. 63 See point 2.3 of the Reasons for the Decision. 64 OJ EPO 2016, A27 and A28. 65 G 2/12, OJ EPO 2016, A27, points VIII. 1. (2) and VIII. 2. (6) (d) of the Reasons for the Decision. 66 See Case Law of the Boards of Appeal of the EPO, 8th edition, 2016, chapter III. H. 1.1.2 and 1.2. 67 OJ EPO 2016, A27 and A28, points VII. 3. and 5. of the Reasons for the Decision. 68 Idem, point VII. 3. (3) of the Reasons for the Decision. 69 Idem, point VII. 5. (5) of the Reasons for the Decision. 70 See CA/D 10/99 based on preparatory document CA/7/99. 71 See CA/7/99, at 14. Regulations to the European Patent Convention, OJ EPO 1999, 573. 74 OJ EPO 2016, A27 and A28, point VII. 4. (1) of the Reasons for the Decision. 75 Idem, points 5 and 16 of the Reasons for the Decision. inventions, Official Journal of the EU C 65 of 1 March 2017, p. 2-3. 79 See point 29 of the Reasons for the Decision. 80 See Introduction, paragraph 6. DE, DK, ES, FI, FR, GB, GR, IE, IT, LU, NL, PT, SE) as well as CH, CY, LI and MC. CA/PL 4/17, points 52 and 53. 83 Idem, point VII. 1. (3) of the Reasons for the Decision. 84 Idem, point VII. 2. (5) of the Reasons for the Decision. 85 Idem, point VII. 3. (3) of the Reasons for the Decision. 86 Idem, section VII. 5. of the Reasons for the Decision. 88 See CA/PL PV 46, at 23. Int. 1981, 479, 488, at No. 3. 93 Article 31(3)(a) and (b) of the Vienna Convention refer to an agreement or practice regarding the interpretation/application “of the treaty”. 94 See in this regard also decision J 9/07, not published in the OJ EPO, point 20 of the Reasons for the Decision. Referral G 3/19 (pdf). 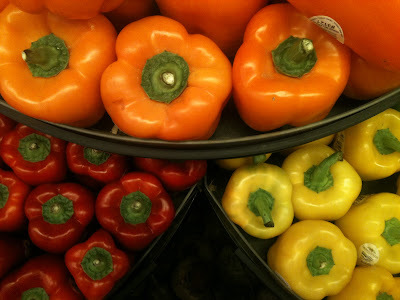 Photo "Peppers" by Melvin "Buddy" Baker obtained via Flickr under CC BY 2.0 license (no changes made). Interesting twist that the President puts question 1 in a wioder context that just Rule 28(2) EPC. What a long section on admissibility. Does this indicate that the President considers it a serious risk that the referral is not admissible?! The President does not seem to explicit address reasons 32-39 of T 1063/18, where the lack of competence of the Adm Council to amend Art.53(b) via Rule 28(2) was discussed. Reasons why the Council would be competetent are given, but reading the President's reasons for setting aside the reasoming of the T-decision would be interesting. The last part on the provision in various national law of an explicit exclusion of plants directly obtained by essentially processes does not strengthen the case in my view. One could interpret this as deliberate choices to include it in that law by the national legislators. And as a deliberate choice by the EPC legislator (as it is an Article, the Conference) to NOT have it in Art.53(b), so as a deliberate choice to NOT have it excluded. It also can be seena s a hint that the real solution should be in amending the law, i.e., the Article - either via a Conference, or by the Administrative Council -- but the latter seems only possible if it is to bring Art.53(b) EPC "into line with an international treaty relating to patents or European Community legislation relating to patents" (Art.33(1)(b) EPC), which seems to require a new EU Directive that explicitly excludes plants - in view of G 2/12, it does not seem viable that Art.53(b) can be amended based on an interpretation of the Biotech Directive given by the EU Commission in its Notice (unless the EBA now concludes that they need to revise their earlier opinion). 1. A question of law has recently been referred to the Enlarged Board of Appeal by the President of the European Patent Office on 5 April 2019 (Article 112(1)(b) EPC). This question seeks, in particular, to clarify whether in view of Article 164(2) EPC the exclusion from patentability for plants and animals exclusively obtained by means of an essentially biological process pursuant to Rule 28(2) EPC is in conformity with Article 53(b) EPC. Points 102-108 tell that all states have amended their law. I do not understand why the discussion is about an Implementing Rule. And whether that is in conflict with an Article. Why not change the Article via the adequate procedure, a Conference? If indeed all EPC Contracting States agree, it should be a piece of cake to make a quick Conference on only this change to Article 53 paragraph b. Would that not be faster and lead to a much better legalk certainty than waiting for the Enlarged Board to declare the referral inadmissible, or the rule invalid? Or change the Article by the Administrative Council. Is maybe not allowed, as was argued by the referring Board. But, if would nevertheless be amended, there is nothing in the EPC that allows the Enlarged Board, a Technical Board or a Legal Board declare an amended Article invalid. Or?